We are thrilled to announce that the Court of the Dead will be at San Diego Comic-Con 2015! 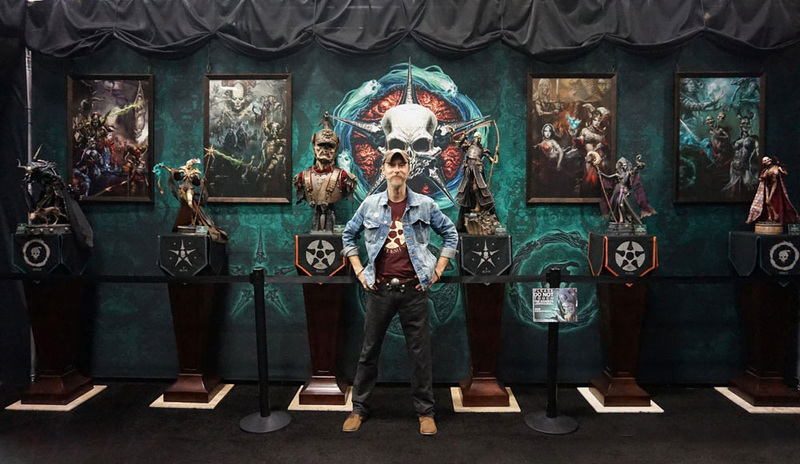 Returning once again after an exciting debut at last year’s San Diego Comic-Con, we invite this year’s show attendees to visit the Court of the Dead gallery at Sideshow’s booth #1929. There, you’ll come face-to-face with the fascinating denizens of the Underworld, and have a chance to meet the team who created them. With a fantastic presentation of all-original artwork, new premium art prints, 3d prototypes, exclusive giveaways, and exciting new announcements, it will be a true spectacle of intrigue and dark delight! For the wayward souls who will not be joining us at the show, all is not lost. Follow the Court of the Dead on Facebook and Instagram for more news and updates from the floor. See you soon!